Focus Home Interactive and Spiders will bring us back to Mars in 2016 for a new post-apocalyptic cyberpunk action-RPG. After Mars: War Logs, the studio explores further the red planet with The Technomancer set during the War of Water. It will be out for PC, PlayStation 4 and Xbox One. First screens and details after the jump. Spiders are back with The Technomancer, a new post-apocalyptic RPG set in a cyberpunk world for PlayStation 4, Xbox One and PCset on Mars during the War of Water, where an aspiring Technomancer faces a myriad of questions as his future grows threatened by the secrets of his past. Discover today the first official images from the game! An RPG, The Technomancer will offer players action-oriented combat gameplay along four different skill trees, focusing on 3 different fighting styles and the destructive electric-focused powers of the Technomancers. But all situations aren't necessarily to be dealt with brute strength, with dynamic conversation dialogue playing a deep role in quests, changing the story depending on the decisions you make. Craft equipment, weapons and armor for yourself and for the companions you'll recruit along your adventure, nurturing relationships with them. • A unique and thrilling science-fiction RPG experience set on the Red Planet. • Bond with numerous unique and interesting companions and reveal secrets about their past. • Manage their inventory and level up your companions. • Up to five different endings for many quests changing the conclusions and rewards - even the people you'll meet and journey with! • A dynamic crafting system that changes the visual appearance of weapon and armor. 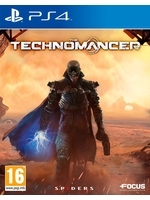 • Play as a Technomancer - a combat proficient warrior with use of cybernetically enhanced magical abilities. 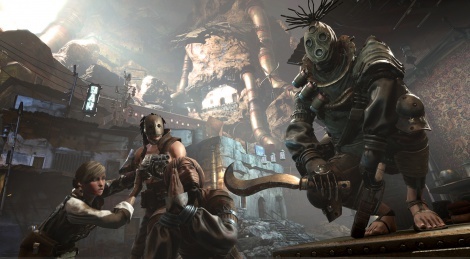 The Technomancer is slated for a 2016 release on PlayStation 4, Xbox One and PC. Poor graphics and generic aesthetic design are all I got from the screenshots.